Sunday, Monday and Thursday groups are fun loving and social groups. This sometimes helps people looking for that wonderful other person to join them in marriage. Since 1996 we have had about 24 couples in our group get married. Twenty-two of those couples are still married. 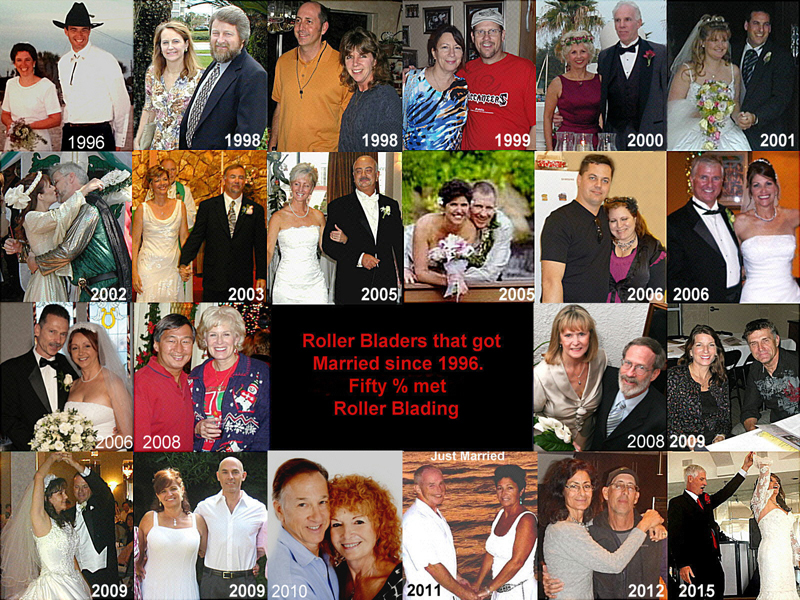 Eleven of those couples still married met while roller blading. That is a good sign your chances improve finding that wonderful other person if you roller blade/bicycle with us. Come and join us any Sunday, Monday or Thursday. We love to meet and socialize with new people. Below is a Collage showing those 22 couples and the year they got married. If you are not the marrying kind but still a fun loving type, there are lots of you socializing and blading/bicycling with us every week.